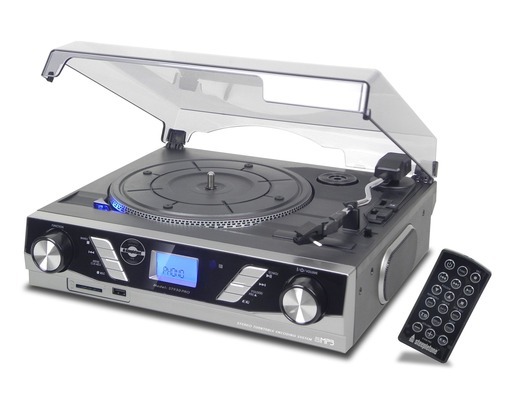 The Steepletone ST930 PRO (Silver) is a 3-speed USB record player with a flip-over stylus which allows you to play 33s & 45s on one side and then flips over to play 78s. This fantastic unit not only enables you to play your old vinyl records but also records them to MP3, without the need of a computer, using an SD card. The ST930 Pro has a built-in amplifier and twin stereo speakers as well as a headphone jack for more private listening sessions. 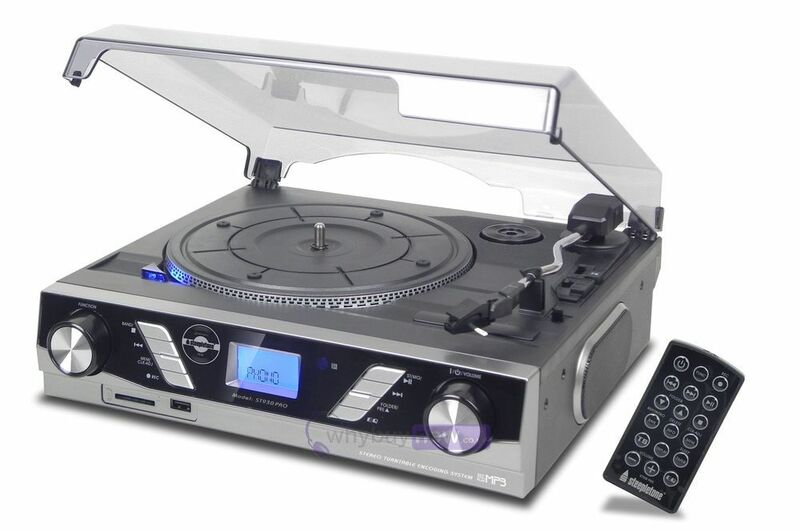 This compact music system comes with a remote control and a Perspex dust cover/lid.